Our story is about a camel named, Shai, pronounced shay meaning gift. Shai lives in Israel. Israel is a small country in the Middle East. Camels are amazing animals which have endurance. 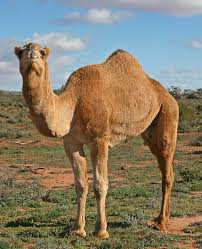 There are one-hump camels called Dromedary which inhabit the Middle East and the Horn of Africa. 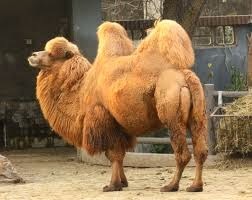 Two-humped camels called Bactrian are found in Central Asia. Camels have been domesticated, meaning they live with and work for people. Many countries use camels to carry people and supplies. Shai is one of many camels working for a man named Amit, pronounced Ah meet, which means friend. Amit loves his camels and takes good care of them. He uses them to carry tourists and their belongings around Israel. Israel has many interesting places and landmarks that people want to visit. It’s more of an adventure for these tourists to travel by camel instead of a jeep. They pay Amit to take them. A group of tourists hired Amit to take them throughout all of Israel. This journey would last a few weeks. The group wanted to sleep out doors and visit all the wonders Israel had to offer. Amit was a little surprised they wanted to go this time of year because it’s hot. The best time to travel would have been earlier in the year. Amit picked out the best strongest camels he had. He needed camels for the people, luggage, food, and water. Twenty five camels for the six people and their supplies would be sufficient. The day arrived for them to leave and they left before dawn. The sun barely started to crest the landscape. Amit wanted many miles behind them before the sun hit mid-day--the hottest part. Everyone on the trip seemed to be in a pleasant mood, even the camels. Amit was relieved. Some groups of people were cranky. For four days they traveled and stopped at interesting places for the tourists. The fifth day was brutally hot even before the sun tried to poke its head above the hills. Amit didn’t realize how right his words were. In the late morning when the sun beat down it became almost unbearably hot and the wind picked up. At first they welcomed the relief of the breeze but soon it turned into a howling whipping storm. Amit lead the group to an out-cropping of boulders to hide behind against the storm. As they were nearing the out-cropping, one of the ladies fell off a camel! She landed hard and didn’t move. One of the men stopped and got down from his camel and ran to her. The strong wind made it difficult to tell if she had her eyes closed because of the dust or she was unconscious. He pulled her over to the boulders. By that time everyone had arrived safely behind the protection of rock. Amit was told the lady needed medical attention. She had broken an arm and maybe some ribs. Amit didn’t know who to send. He needed to stay with the group and no one else knew the way to the nearest town to get a doctor. He ran over to Shai. “Shai, I need you to do an important job and you have to hurry! You my prized pet, are they only one who could possibly make it in this dreadful storm. You need to go to Bethlehem. I know you will find your way. Here is a note that will bring the doctor. You will need to bellow and moan until someone investigates and finds the note. Now go!” He swatted Shai on the rump and Shai took off with a leap. Shai wasn't sure what Amit said. He remembered a person fell. He felt Amit’s fear and heard the note of command mixed with urgency in his voice. He recognized the word Bethlehem and thought he understood. The wind was terrible. His long lashes kept most of the sand out of his eyes but he had to clear them with his third eye lid many times. His nostrils had naturally closed to keep the wind out and he only opened them for brief gasps of air. His long strides and wide feet made his journey steady as he raced to the town. He was lucky he was a camel. A horse would not have made it. The design of his body made his task easier. He was also a strong camel who normally went further than other camels on less food and water. There were many more miles to go. On the road, he hadn’t passed any other animals or people. They must be in shelter. Shai kept going. In his mind he played the sound of his master’s voice over and over, which made him hurry. Finally, he arrived at Bethlehem. As soon as he entered, he bellowed, moaned, screamed, and made a terrible racket. The wind quieted down a little bit so he was heard. Shai moaned loudly at a man who came to investigate. The man ran his hands over Shai thinking he was hurt. That’s when he found the note, which he read and patted Shai’s neck. Shai stopped making noise as soon as he saw the man reading. Shai leaped forward into a fast smooth gate. The doctor was surprised how fast yet smooth the ride was. The doctor had a thick scarf tied around his face to protect his eyes and nose from the sand. The wind had quieted some more, so the journey back was not as bad. They finally reached the group. Shai got down so the doctor could get off easily. Shai drank gallons of water to quench his thirst and ate. Then he plopped down for a nap. The doctor was able to treat the injured woman. He put a splint on her arm and wrapped bandages around her ribs. A patch of gauze was placed over the gash in her head. Shai glanced over. The lady sat drinking a mug of tea, and telling Amit thank you. With a contented sigh, Shai closed his eyes. One time a man offered to buy Shai but Amit said he would rather sell his right arm. He would never sell his favorite pet. 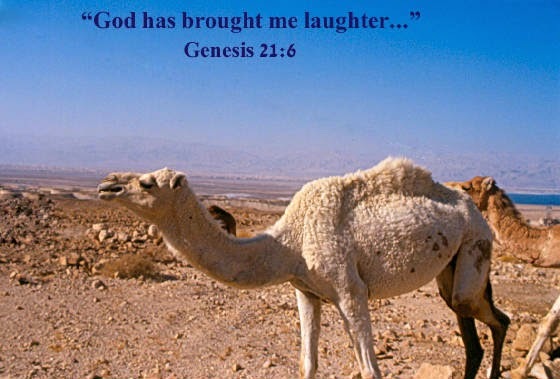 Shai was a special camel who had greater endurance than most. 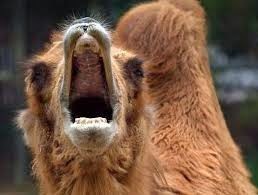 Camels have a special ability to go long periods of time without food or water in extreme temperatures. Endurance is something we learn. We can strengthen our endurance and stamina. I hope you have a good understanding of endurance from these two lessons. Keep working on your endurance. The verses are the same as last time. Memorize one you haven’t memorized yet: Philippians 3:14 I press toward the goal for the prize of the upward call of God in Christ. 2Timothy 4:7 I have fought the good fight, I have finished the race, I have kept the faith. . Hebrews 12:2 Looking unto Jesus, the author and finisher of our faith, who endured the cross, despising the shame, and has sat down at the right hand of the throne of God. Love how you sue animals in your stories.